Yesterday, Lisa and I both ran a quarter mile again and did our normal workout. Also, we consumed less that 1500 calories each – Lisa with 1365 and me with 1480 calories – staying within our goals. A “small amount of pasta” for dinner really helped us stay within our diet yesterday. First of all, I could write you pages about how to make the most delicious and decadent plate of pasta. However, that’s not what this is. 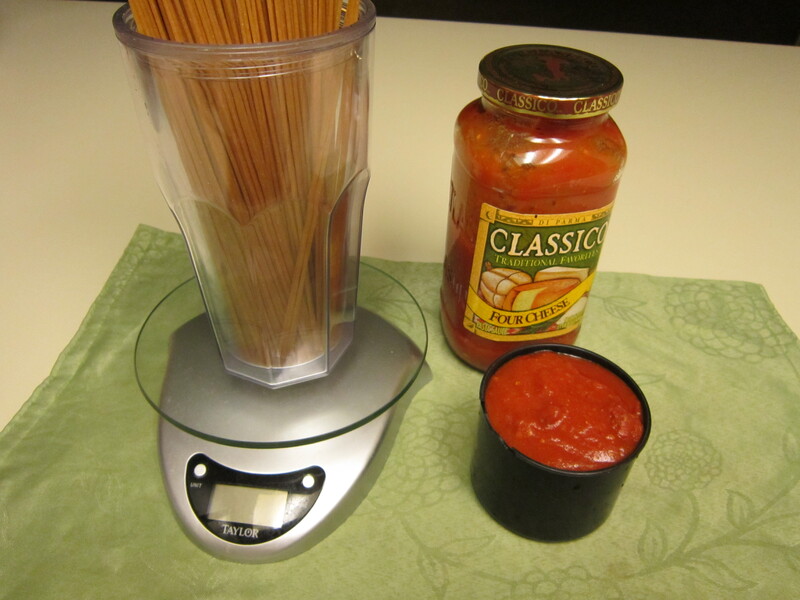 This is an easy way to enjoy pasta for only 580 calories. IT’S SIMPLE! 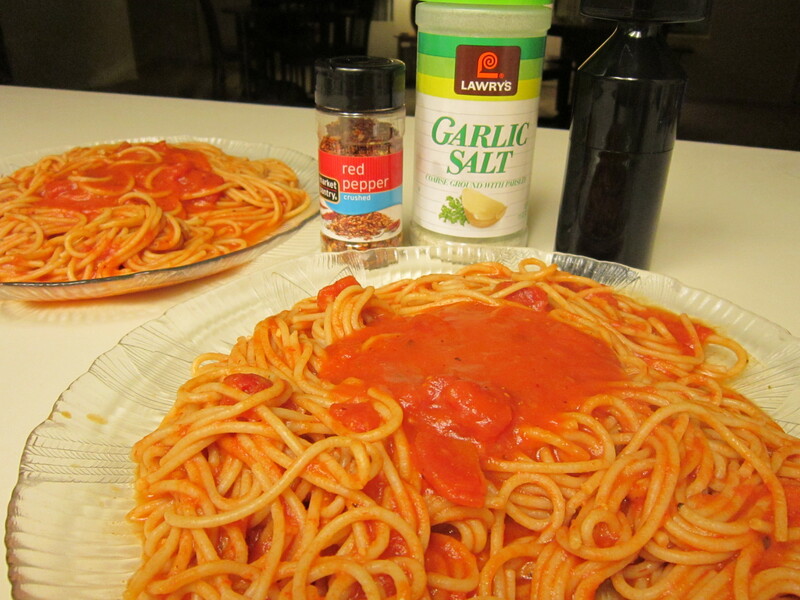 2 exact servings of wheat pasta, 2 exact servings of the lowest-calorie, jarred sauce that you can find. Pass GO and COLLECT $200! This entry was posted in Fitness Progress, Food Pictures, Recipes and tagged Classico, diet, Pasta, rainman, small amount of peas, weight loss by bigfacebrian. Bookmark the permalink.